EuroBuzz is a compilation of news about European Union presented by the students of Masters in European Studies and Management (MESM) on both daily and weekly basis. The daily edition is mainly shared with the student community of European Studies and the weekly edition is shared with all the Centres of European Studies in India, the team of India-EU Study Centres Programme (IESCP), the Delegation of European Union to India and several universities in Europe. Eurobuzz is in many ways, Professor Chowdari’s idea. Prof. Chowdari (A collaborator at ManipalBlog.com) and Dr. Neeta were responsible for the initial brainstorming that led to the creation of this newsletter. The TAPMI Librarian, Mr. Anantha Rao has played an important advisory role in this project, from its inception. They have constantly provided the students with material and moral support, and are all directly responsible for the creation of Eurobuzz. EuroBuzz started as a team project in November 2010, as a continuation to Prof. Chowdari’s course on ‘European Business Environment’. At that point, it was just a collection of snippets from leading business newspapers and magazines. Mr. Anantha Rao was solely responsible for the initial compilation. In January 2011, two students [Sarah and Dr. Pawan Bhati] took over as editors and started work on a more wholesome Europe-based newsletter. They worked under the guidance of Dr. Neeta, Prof. Chowdari and Mr. Anantha Rao. During this period, the newsletter underwent a series of changes, with the inclusion of online material along with categorization. In February 2011, Fenella Andrade and Anvesh Lanka took over the responsibility of handling the newsletter. We were tasked with creating the design and giving it a more standard outline. After 20 days and 15 designs, the advisory team approved the final version. In March 2011, two other students [Prathyusha and Vinay] took over as editors. As of now, the students have decided to have a monthly shift system for the Editorial board. We have daily and weekly versions of the newsletter. The weekly newsletters are mailed out to a number of local and international educational institutions that deal in European Studies. In the future, we plan to include many other new sections to make it a fully informative e-resource [Editorials, Information from notable blogs and an International News Section]. 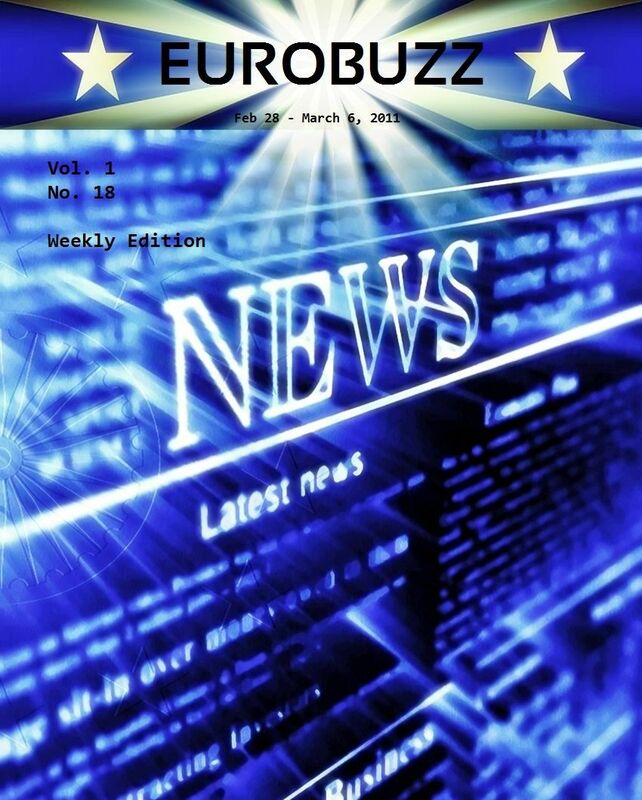 ManipalBlog.com will be publishing the weekly edition of EuroBuzz every week so keep an eye out! !